BEIJING, China — A little girl and her song captivated millions of viewers during the opening ceremony of the Beijing Olympics. But what they saw was not what they heard. 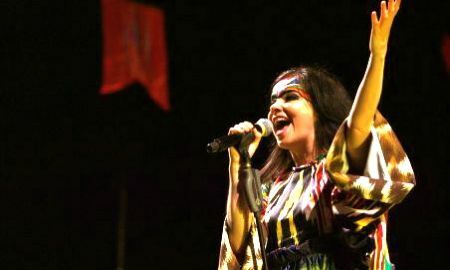 Games organizers confirm that Lin Miaoke, who performed "Ode to the Motherland" as China's flag was paraded Friday into Beijing's National Stadium, was not singing at all. 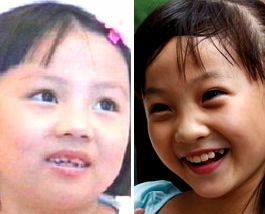 Lin was lip-syncing to the sound of another girl, 7-year-old Yang Peiyi, who was heard but not seen, apparently because she was deemed not cute enough. 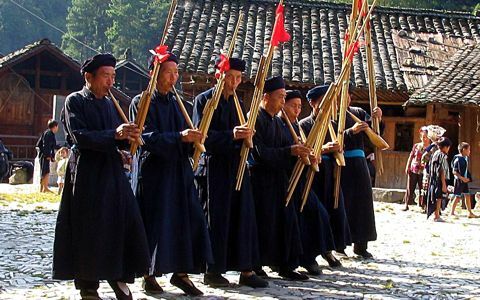 "The reason was for the national interest," said Chen Qigang, the ceremony's musical director, in a state radio interview. "The child on camera should be flawless in image, internal feeling and expression. ... Lin Miaoke is excellent in those aspects." 2. Politburo leaders, "it must change"
The decision was made at the highest levels, Chen said. "We had to do it," he said. "We'd been through several inspections. They're all very strict. When we rehearsed at the spot, there were several spectators from various divisions, especially leaders from the Politburo, who gave the opinion it must change." Few who watched the Olympic ceremony realized the deception. "Tiny singer wins heart of nation," read the headline in Tuesday's China Daily newspaper. "Lin Miaoke might be only 9 years old but she is well on her way to becoming a star, thanks to her heartwarming performance," the article gushed — without mentioning she never sang a note. 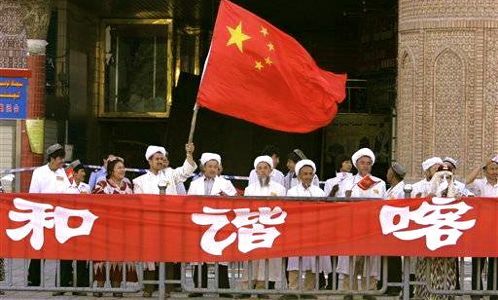 But as word has gotten out on the Internet, some Chinese bloggers are outraged. "If you're not good-looking, no matter how well you sing, you'll not be onstage. Do you know you're twisting a whole generation?" read one comment. Another said, "If foreigners found out, they'd think we can't even find a girl who is good at both." As for Yang Peiyi, she's been quoted as saying she was honored to have had a role in the opening ceremony, even though few realized just how big her part really was. 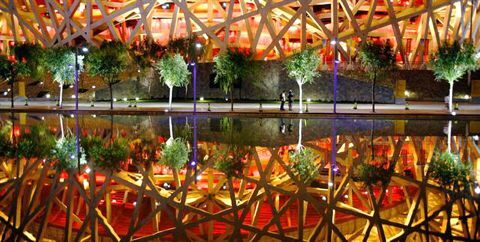 URUMQI, China - Several explosions rocked a county in western China early Sunday, killing at least two people, a hospital official and state media said, amid tightened security after an attack earlier this week before the start of the Beijing Olympics. The early morning explosions occurred in Kuqa county in the south of the Muslim region of Xinjiang, said a woman who was on duty at the emergency unit of the Kuqa People's Hospital. "There were several explosions in several places in the county seat of Kuqa this morning and we heard them from the hospital," said the woman, who would only give her last name, Tian. One man was confirmed dead upon arrival at the hospital while several other people were in critical condition after sustaining injuries, she said. A man who answered the phone at the county's public security bureau hung up when asked about the explosions. Repeated calls to the bureau later rang unanswered. 3. Witnesses heard explosions, gunshots over 40mn. 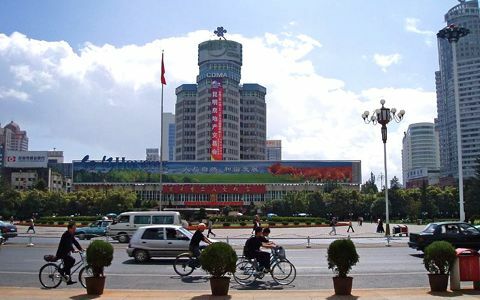 The official Xinhua News Agency cited witnesses as saying they saw flashes of fire and heard gun shots following the explosions, which took place between 3:20 a.m. and 4:00 a.m. Xinhua said local military sources confirmed the incident and said they have deployed forces to the area, while police have sealed off the area where the explosions occurred. 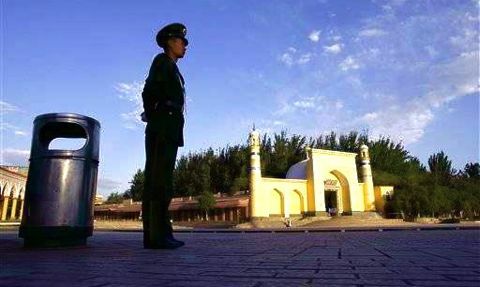 Already normally tight security in Xinjiang was increased this week after assailants killed 16 border police and wounded 16 others in the city of Kashgar on Monday when they rammed a stolen truck into the group before tossing homemade bombs and stabbing them. 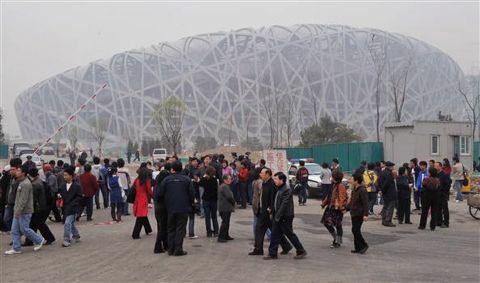 The latest violence comes after two Americans closely linked to the U.S. Olympic volleyball team were stabbed, one fatally, in a bizarre attack Saturday in the Chinese capital on the first day of the Beijing Games. The explosions also come after an Islamic group seeking independence for Xinjiang province threatened Thursday to attack buses, trains and planes during the two-week Olympic competition. 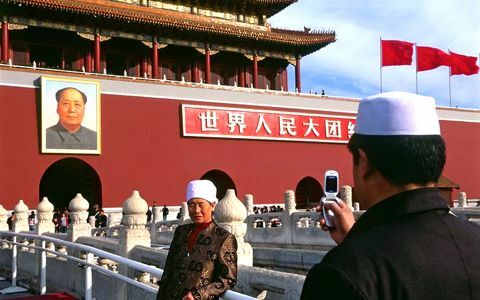 A videotape purportedly made by the Turkistan Islamic Party, a militant group seeking independence for Xinjiang, was released with threats of attacks during the Olympics. 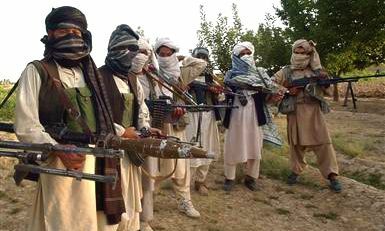 The group is believed to be based across the border in Pakistan, where security experts say core members have received training from al-Qaida. 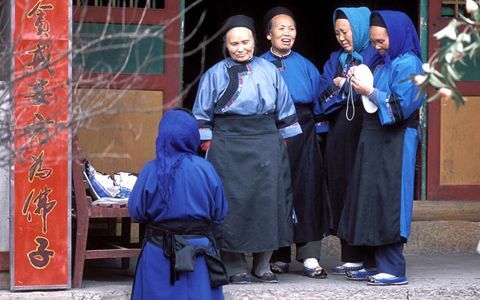 Xinjiang is a massive, rugged territory — one-sixth of China's land mass — that's home to the Uighurs, a Muslim minority with a long history of tense relations with the Chinese. 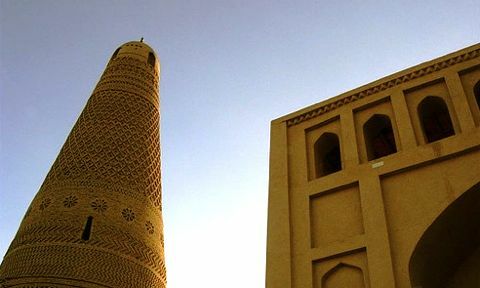 The Uighurs, with a population of about 8 million, have complained that the Communist government has been restricting their religion and Turkic culture. Beijing has accused Uighur groups of using terrorism in a violent campaign to split Xinjiang from the rest of the country. 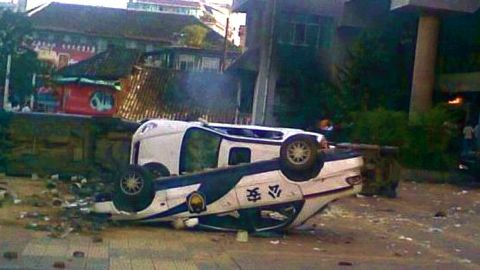 China's state-run media have reported sporadic bombings, shootings and riots in the territory over the years, but the dispatches are often sketchy and difficult to verify. 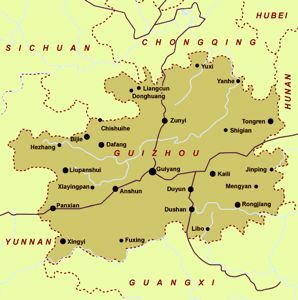 Xinhua said the pre-dawn explosions rocked the downtown area of Kuqa, 460 miles from Urumqi, the regional capital. Police has cordoned off the area where the explosions occurred, it said. No other details were immediately known. 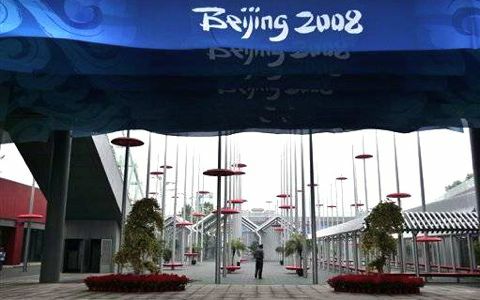 BEIJING — A knife-wielding Chinese man attacked two relatives of a coach for the U.S. Olympic men’s volleyball team at a tourist site in Beijing, killing one and injuring the other on the first day of the Olympics on Saturday, team officials and state media said. 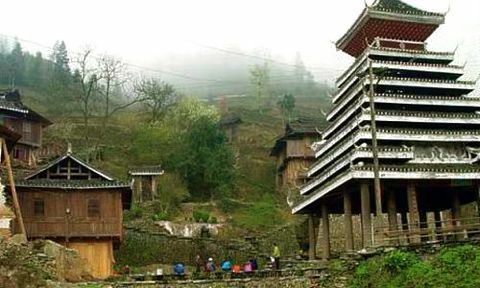 The man then committed suicide by throwing himself from the second story of the site, the 13th century Drum Tower just five miles from the main Olympics site. 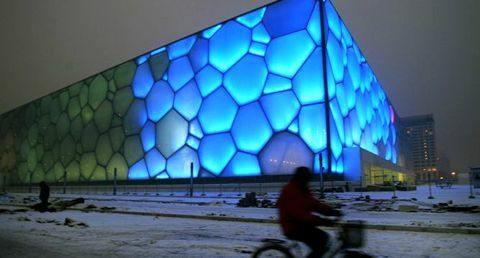 The brutal attack shortly after midday was all the more shocking because of the rarity of violent crime against foreigners in tightly controlled China, which has ramped up security measures even more for the Olympics. 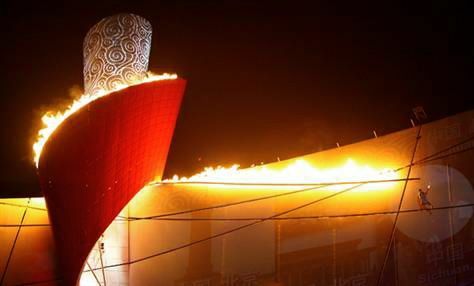 The stabbing came only hours after what by many accounts was the most spectacular opening ceremony in Olympic history and it has already dampened some of the enthusiasm. One of the family members was killed and the other was seriously injured, it said, without giving details. 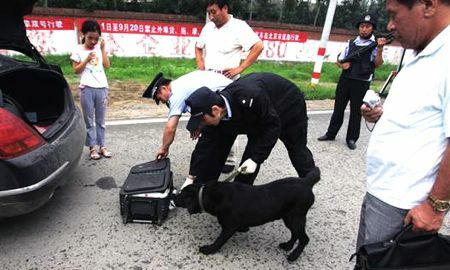 The official Xinhua News Agency identified the attacker as Tang Yongming, 47, from the eastern city of Hangzhou. 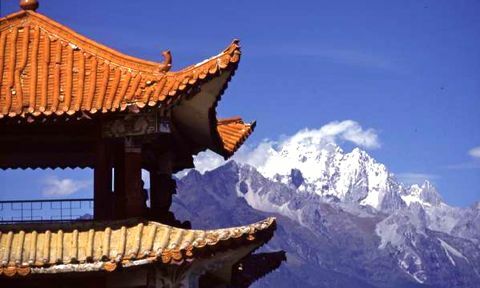 It said Tang attacked the two Americans and their Chinese tour guide, who was also injured, at 12:20 p.m. on the second level of the ancient tower, then leapt to his death immediately afterward. The second level of the tower is about 130 feet high. 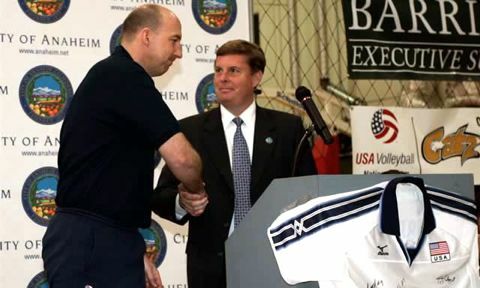 Seibel said the two Americans who were attacked were not wearing anything that would have identified them as Americans or part of the U.S. team. He could not name the coach. “They were not wearing apparel or anything that would have specifically identified them as being members of our delegation” or as Americans, he told The Associated Press. He said it is “too early to say” whether the U.S. delegation or athletes will require additional security. 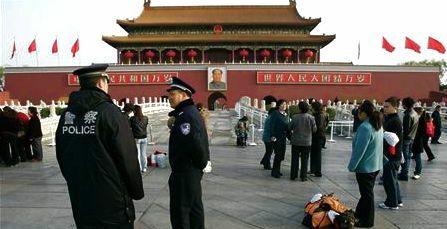 Police blocked off streets leading to the Drum Tower immediately after the attack and cordoned off the area with yellow police tape. Security officers were examining the scene on the tower and below. 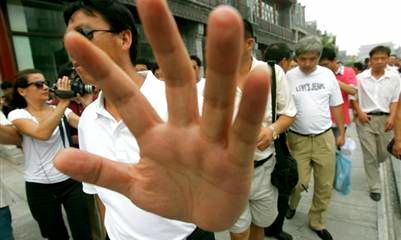 Attacks on foreigners in China are extremely rare. A Canadian model was murdered last month in Shanghai, but police said that was because she stumbled onto a burglary. In March, a screaming, bomb-strapped hostage-taker who commandeered a bus with 10 Australians aboard in the popular tourist city of Xi’an was shot to death by a police sniper. 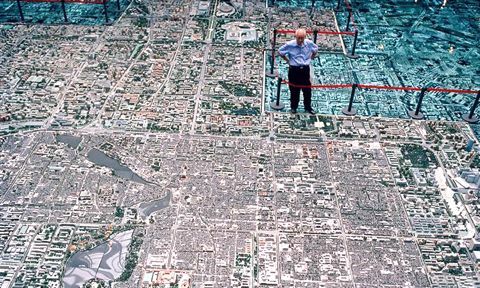 Shanghai and Beijing are still safer than most foreign cities of their size. 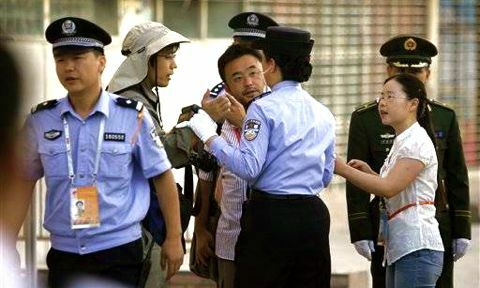 Punishments for crimes against foreigners are heavier than for crimes against Chinese, and police-linked neighborhood watch groups are highly vigilant. 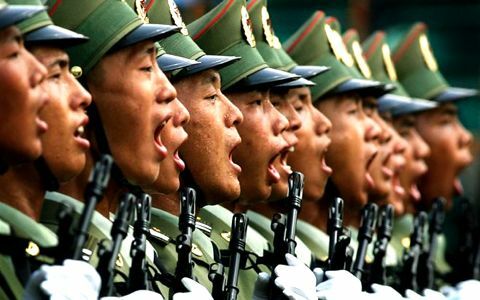 Chinese are not allowed to own guns. Even so, the U.S. government now warns Americans against muggings, beatings and even carjackings, especially in the nightlife and shopping districts of large cities. 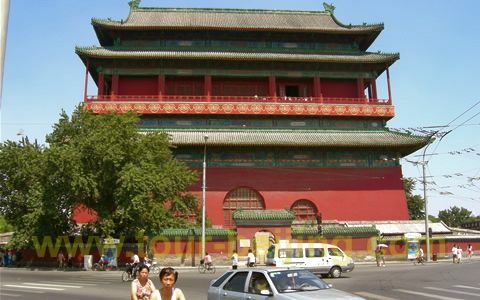 Built in the 13th century, the Drum Tower is one of the few ancient structures still in Beijing, and was used to tell time in imperial China for the city, using drummers who pounded their instruments to mark the hours. 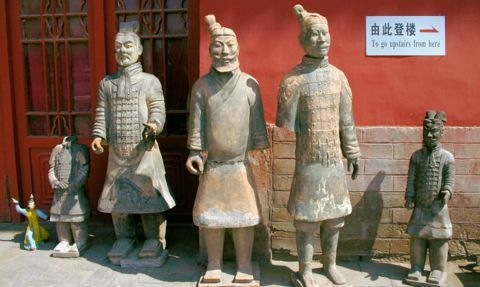 It is located on an important central axis of the city, to the north of the Forbidden City, the former home of the emperor. The White House said President Bush, who is in Beijing for the opening days of the games, was informed of the incident, and his heart goes out to the families of the victims. 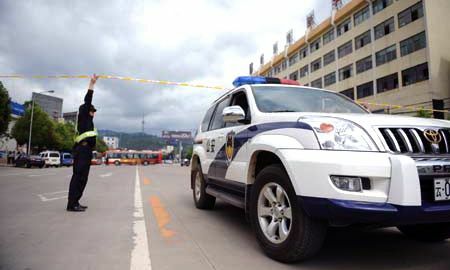 BEIJING — A police station in China's restive Xinjiang region was attacked on Monday morning, four days before the Beijing Olympics begin, killing 16 officers and wounding 12, state media reported. 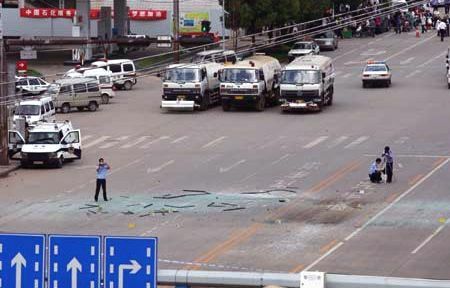 [2nd issue] August 4, 2:08 a.m. — Attackers rammed a dump truck into a patrol station in China’s restive Central Asian border province Monday morning, tossing grenades in a raid that killed 16 officers and wounded others, the state-run Xinhua News Agency reported. 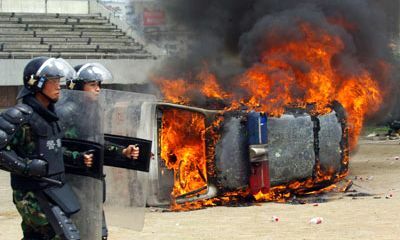 "Rioters drove two vehicles to break into the border patrol armed police division" near Kashgar and threw two grenades, Xinhua reported. The brief report did not describe the attackers. 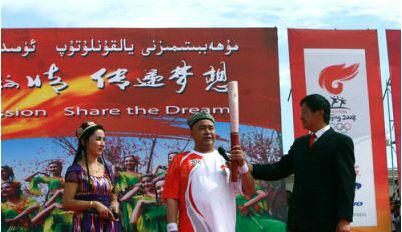 But the Xinjiang region in the far northwest has been at the heart of China's security fears leading up the Olympics, which begin in four days. 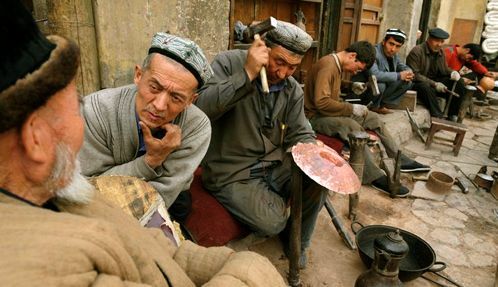 Xinjiang is home to a large Uighur Muslim population, many of them discontent under strict Chinese rule. 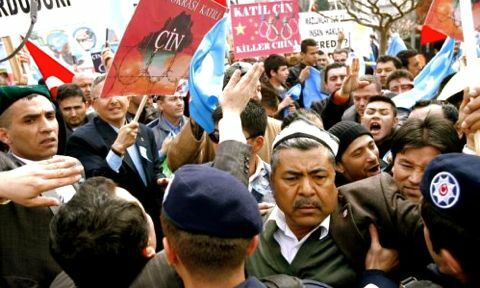 Some Uighur groups are campaigning for an independent homeland for their Turkic-speaking people. 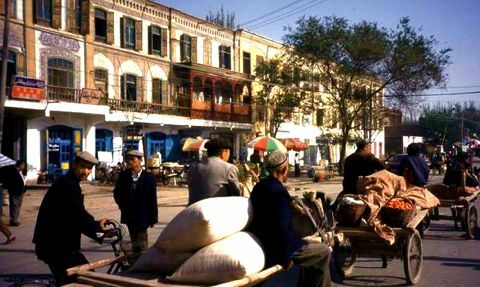 Kashgar in Xinjiang's south is dominated by Uighurs, many of them pious Muslims. 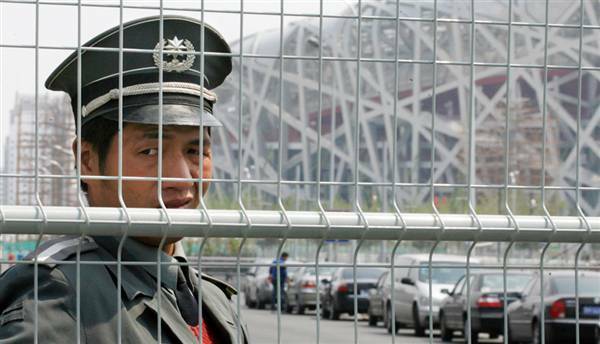 China says it has foiled terror plots targeting this month's Beijing Olympics and in the first six months of the year police detained 82 people in Xinjiang for plotting to sabotage the Games, according to state media. 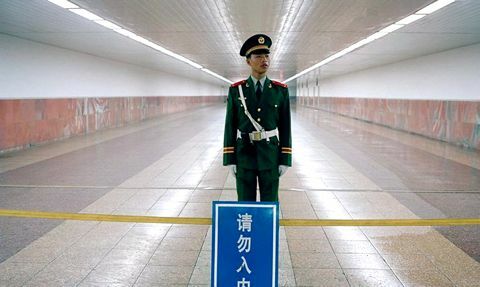 Beijing has given mixed signals on the terror threat from Xinjiang. 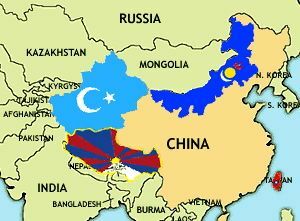 It has accused militant Uighurs of working with al-Qaida to bring about an independent state called East Turkestan. 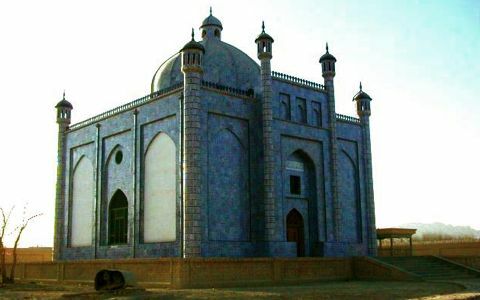 But it denied claims by a group calling itself the Turkistan Islamic Party that it was responsible for a series of bus bombings around the country. 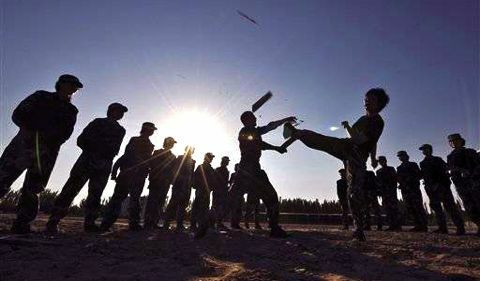 Senior Colonel Tian Yixiang, China's top military officer in charge of Olympics security, said on Friday "East Turkestan terrorist groups" were the greatest threat to Games security, with lesser threats coming from Tibetan separatists and the exiled spiritual group, the Falun Gong. 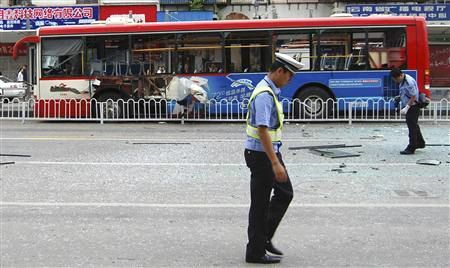 BEIJING, China — Chinese police are investigating a bizarre text message warning residents of Kunming to avoid buses hours before two bomb blasts killed two passengers in the Monday rush hour, local media reported. 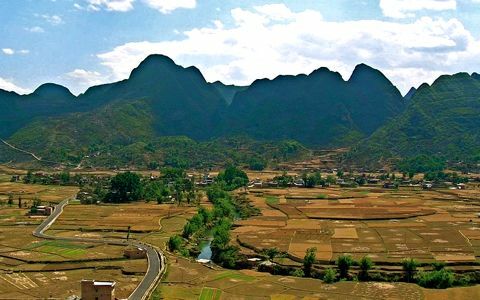 The attack, which came amid a nationwide security clampdown ahead of next month's Beijing Olympics, also injured 14 people in the city, capital of the mountainous southwestern province of Yunnan. 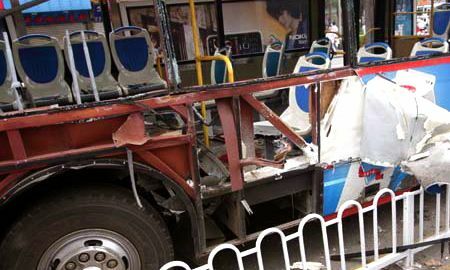 The explosions, which came within one hour of each other, hit two line 54 buses close to each other, blowing holes in the side. 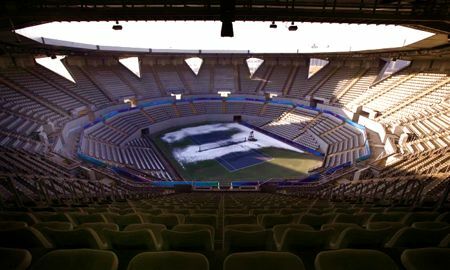 In both cases, ammonium nitrate was wrapped under the seats. "It is really strange... did he really want to warn us?" 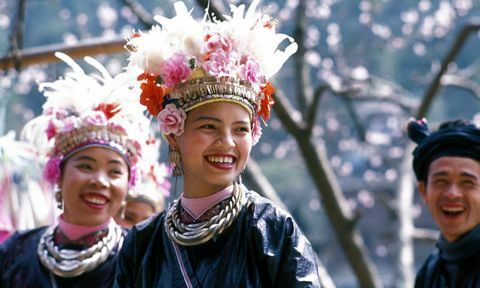 a woman surnamed Feng was quoted as saying. 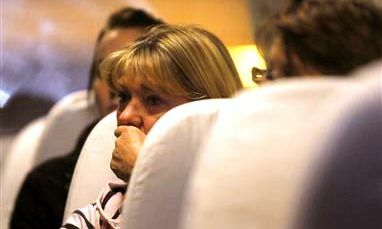 One of the injured passengers was in critical condition, while most of the others suffered shattered eardrums, state media said. 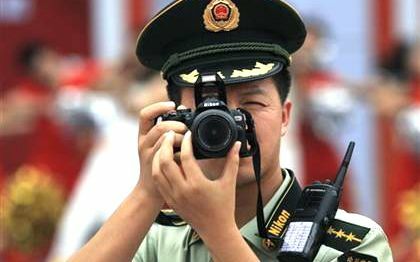 Police have started roadside checks in Kunming and have stepped up security across Yunnan. 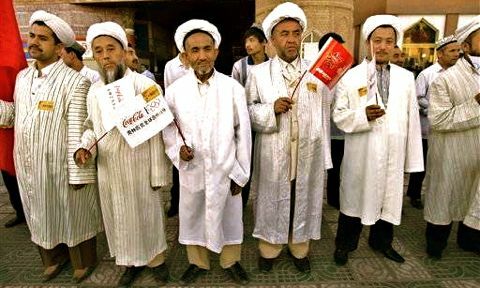 A team of experts has also arrived from Beijing. 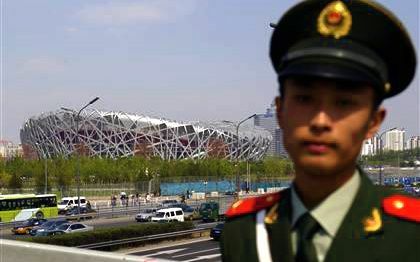 The attack happened less than three weeks before the Aug 8-24 Beijing Games, which China has warned could be a target of terror attacks. 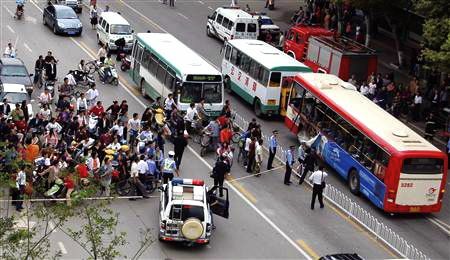 China has occasionally witnessed bus explosions staged by disgruntled farmers or laid-off workers wanting to air grievances over poverty, demolitions or corruption. ULAN BATOR, Mongolia — Mongolia's president declared a four-day state of emergency in the country's capital beginning early Wednesday after angry protesters stormed the headquarters of the ruling political party. 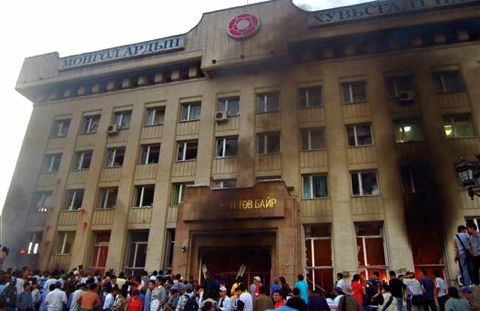 The crowd of mostly young people ransacked the offices of the Mongolian People's Revolutionary Party, set the building on fire and threw rocks at riot police. 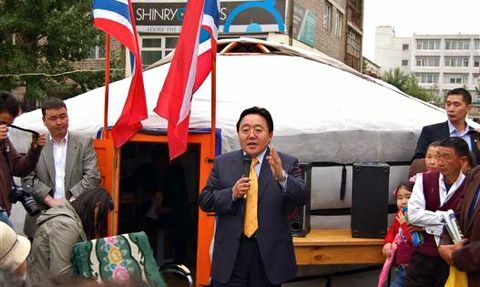 President Nambaryn Enkhbayar, a ruling party member, acknowledged the protesters' complaints over results of the election, which centered on how to share the country's mineral wealth, but appealed for calm. "Let's sit down and solve the election fraud," he said on national TV. 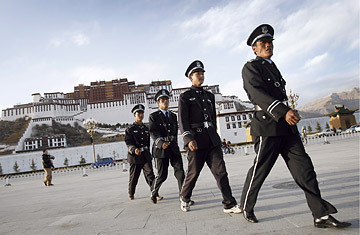 Police spokesman Sainbayar said 26 police officers were hospitalized and one had been blinded. Another 30 or 40 people were also taken to hospitals with various injuries, he said. By Tuesday night, protesters had begun smashing other buildings in the downtown area and some were looting television sets and other property. Despite volleys of tear gas, rubber bullets and water cannons, thousands of protesters refused to disperse. 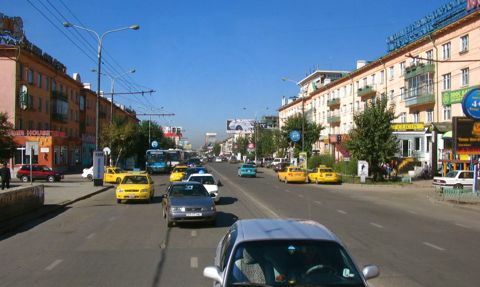 Under the president's decree, no public gatherings are permitted in Ulan Bator. Police also will be allowed to use force in cracking down on protesters who had turned violent in demonstrations alleging fraud in last weekend's parliamentary election. 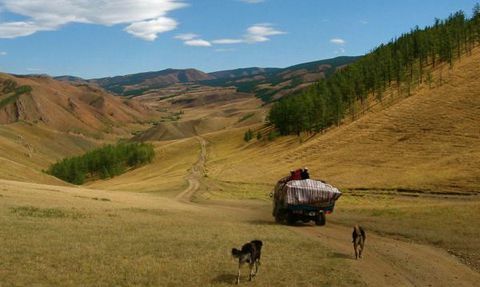 Mongolia, a mostly poor country sandwiched between China and Russia, is struggling to modernize its nomadic, agriculture-based economy. The government says per capita income is just $1,500 a year in this country of about 3 million people, spread across an area the size of Alaska. 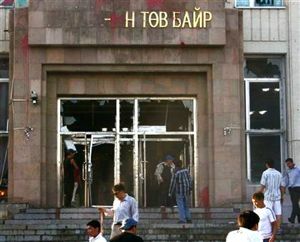 Tuesday's clashes far surpass the usual minor violence that has often accompanied elections in the 18 years since Mongolia cast off communist rule for democracy. 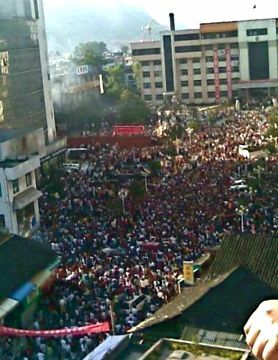 Police seemed unprepared to deal with the crowd, who trampled one police officer, apparently leaving him badly injured. 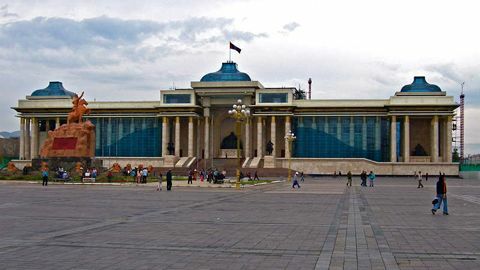 Complaints originally centered on two districts in Ulan Bator that were awarded to the ruling party but contested by two popular members of the Civic Movement party. Following that, protesters called the entire election into question, with opposition Democrats saying that their party, not the MPRP, won the poll. The two main political parties focused their campaigns on how to tap recently discovered huge mineral deposits — including copper, gold and coal — but disagreed over whether the government or private sector should hold a majority stake. 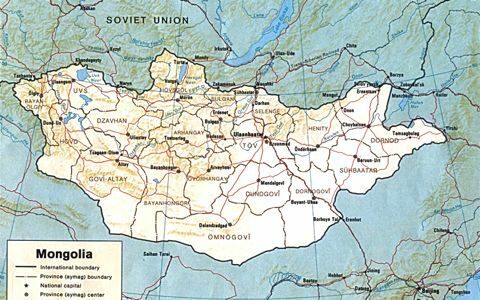 The difference meant the outgoing parliament was unable to pass an amendment to the Minerals Law, which kept the government from concluding investment agreements with international mining giants to develop mineral deposits in the Gobi Desert. With a large majority, the MPRP may now be able to have parliament pass the new law. The current Minerals Law gives the government the right to take up to a 50 percent interest in an important mineral deposit if state funds were used to discover it. 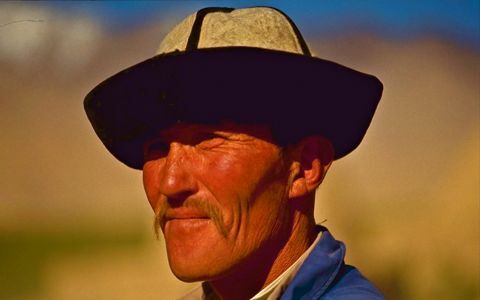 The proposed change would give Mongolia a minimum 51 percent stake. 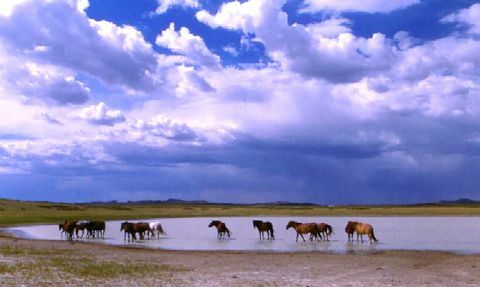 But while the MPRP wants the government to hold that stake, the Mongolian Democratic Party says private Mongolian companies should be able to hold it. Some protesters pushed into the General Election Commission offices to demand that officials resign over voting irregularities and fraud. 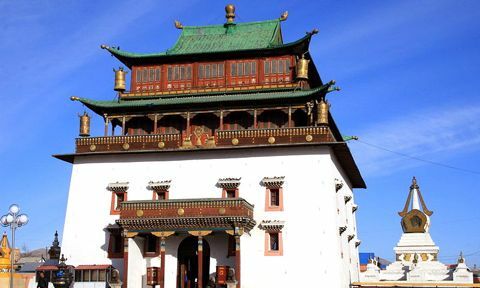 The commission defended the vote, but at least one party called for a recount in some districts of Ulan Bator. "The Mongolian people voted for democracy and not for the MPRP, who are ex-communists," said Magnai Otgonjargal, vice chairman of the Civic Movement party. According to preliminary results, the MPRP — which also governed the country when it was a Soviet satellite — won 46 seats in Sunday's vote. That would give the party far more than half of the 76 seats in parliament, called the State Great Khural. 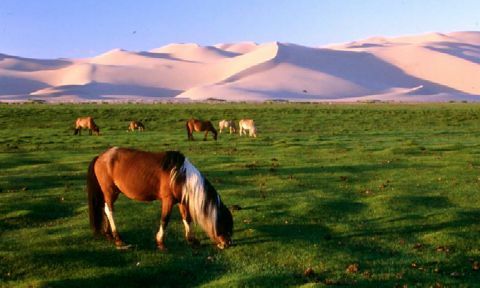 The other major party, the Mongolian Democratic Party, took 26 seats. An independent won one seat and a minor party another. Results in two other seats were not yet clear. The General Election Commission has until July 10 to announce the final results. BEIJING, China — Thousands of rioters torched police and government office buildings in southwest China on Saturday, in unrest triggered by allegations of a cover-up over a girl's death, residents and state media reported on Sunday. 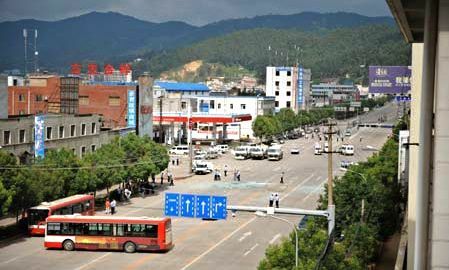 About 10,000 people mobbed government offices in Weng'an county, Guizhou province, on Saturday afternoon demanding justice over the teenager's death after her body was found in a local river, a resident said. "Local residents were very angry about the injustice exercised by local authorities," the resident, who is an official at a local government office, told Reuters by telephone. "About 10,000 people rushed to the site and totally burned down the county party office building, and burned other offices in the county government." 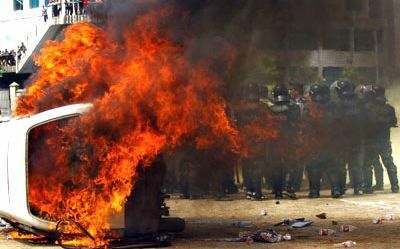 "They also burned about 20 vehicles, including police cars," the official, surnamed Huang, said. 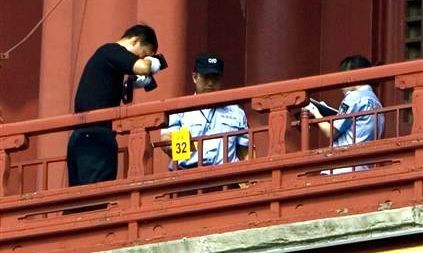 Huang said residents were angered when authorities declared the girl had killed herself by jumping in the river. Residents believed the girl had been murdered by the nephew of a senior government official. "They torched the buildings to vent their anger," Huang said, adding that rioters had cut off a fire-truck's fire hose so that it could not extinguish the blazes. 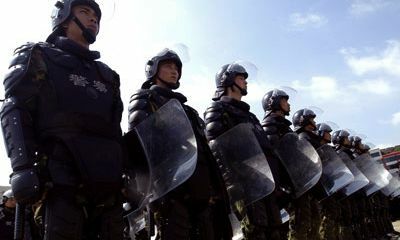 The riot had prompted the province's public security chief to rush to the scene to help restore order, Xinhua news agency said in a report released several hours after accounts of the rioting appeared on Chinese websites and blogs. People began to disperse from the site by 2 a.m. (2 p.m. 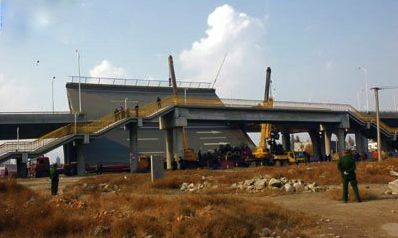 ET) on Sunday and the county seat was gradually resuming order, the agency said. Government and police offices did not answer phone calls on Sunday morning. 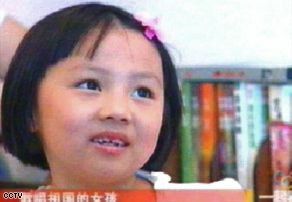 Huang said the girl's family had rejected the authorities' offer of 3,000 yuan ($440) compensation, later upped to 30,000 yuan. Residents had donated money to the family to sue local authorities, Huang said. 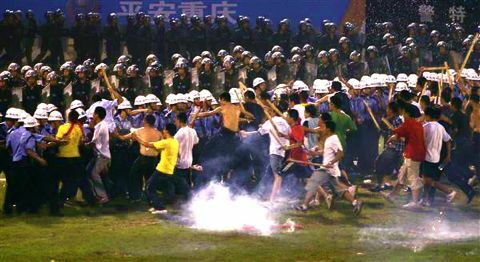 The rioting comes as China seeks to quell any unrest ahead of the Beijing Olympic Games in August. 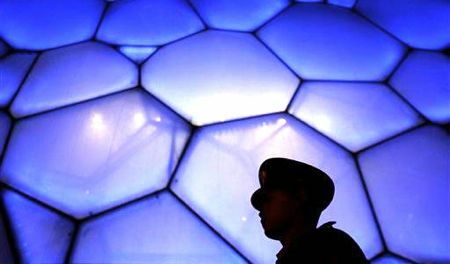 President Hu Jintao has said ensuring stability is a top priority ahead of the Games. Some Internet reports said school students were at the forefront of the unrest in the poor, mountainous region. 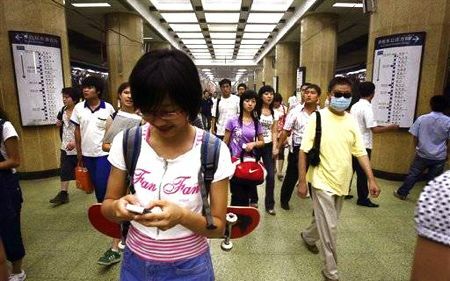 Chinese websites quickly removed many messages about the incident, but others remained accessible. 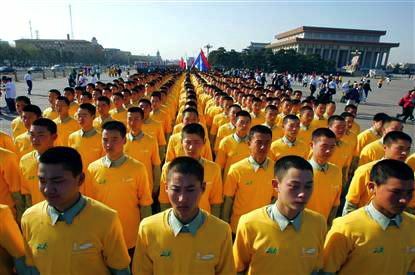 • Topix | Search for "Wen'gan riot"
BEIJING, China — Beijing has dispatched 8,000 toilet maintenance staff, each responsible for a specific public restroom in the city and trained in hygiene standards and techniques, Olympic knowledge and practical English expressions, Xinhua said on Friday. There will be selective inspections every week and the results will be posted on the Web site of the Municipal Utilities Administration Commission, said the news agency. The city was also struggling with which style of commode would be best, noting Westerners prefer seated toilets, which are more comfortable and convenient for the elderly or infirm. The squat toilets widely used in Chinese public facilities are considered more hygienic as there is no direct contact with body, it said. At more than 30 test events held by the Games organizers, the squat versions drew frequent complaints from foreigners, said Xinhua. 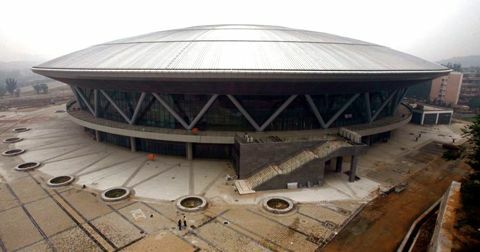 "Not all of the toilets will be changed, but those for journalists, athletes, and VIPs will be," Xinhua quoted Yao Hui, the deputy director of venue management, as saying.